On Friday morning I’m flying to New York for the summer. I’ll be working on my masters at Columbia, and my program consists of two five-week summer sessions and 450 hour internship during the school year. I’ve been reading like crazy for the past month, getting ready for what will feel like Teach For America institute. I’m excited to see more of Carmen and Jim, and take weekend trips to Washington DC to see the Backous’, but I’m really going to miss Los Angeles. Of course I’ll miss Brent and Marta the most (Brent is coming to NY twice! ), but I’m also going to miss the evening walks to the beach, Sunday morning run club in Bev Hills, yoga with Jackie at Art of Pilates, First Friday on Abbot Kinney and driving around with Alaina. I’m also really going to miss The Tripel. 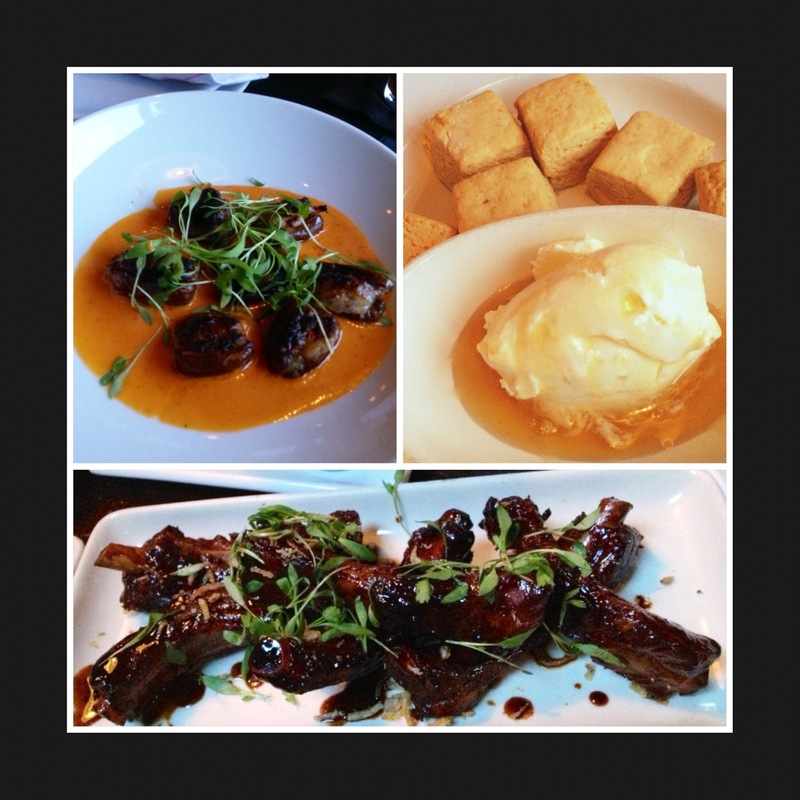 Chicken Sausage Stuffed Dates, Red Curry Biscuits, and Hudson House Brown Sugar Ribs. I start to go a little crazy if I go a few weeks without a good pretzel burger and tots. A few weeks ago after the marathon we rushed back from San Diego because I was craving The Cure (pretzel burger with egg and avocado). 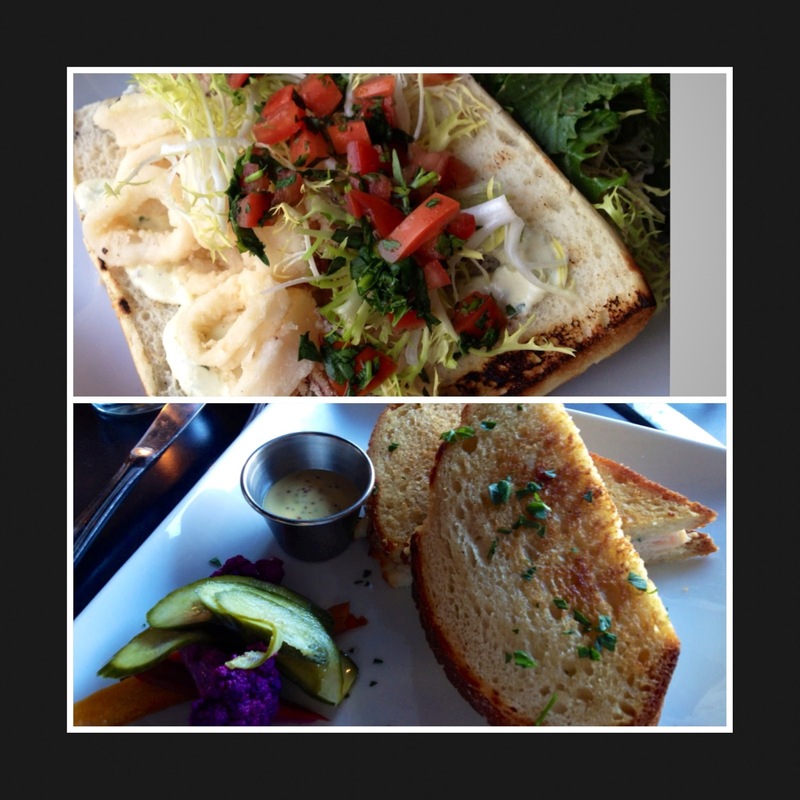 I’ve already blogged The Tripel, but the menu has so much to offer! And, since my last post The Tripel’s executive chef was runner-up on the Bravo show Top Chef. This collection of photos is devoted to Brooke Williamson’s non-burger deliciousness, including some of her brunch items. I needed one last Tripel fix before heading out for the summer, so last night we took our celebrity friend, Lindsey Anderson (on ABC’s Whodunnit?) before watching her series premiere, and I’m certain the week I’m back from NY will involve a visit to my favorite Playa Del Rey spot. 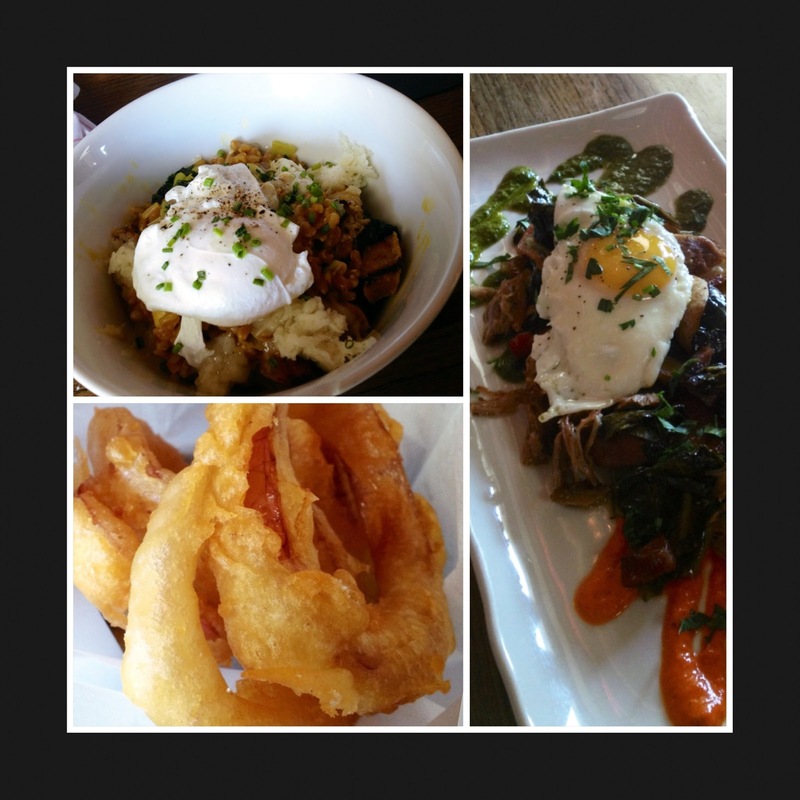 Sweet Carrot Farro with Egg and Sausage, Duck Hash, and Balsamic Onion Rings. Calamari Po’Boy and the Blue Cheese Turkey Pastrami Melt.